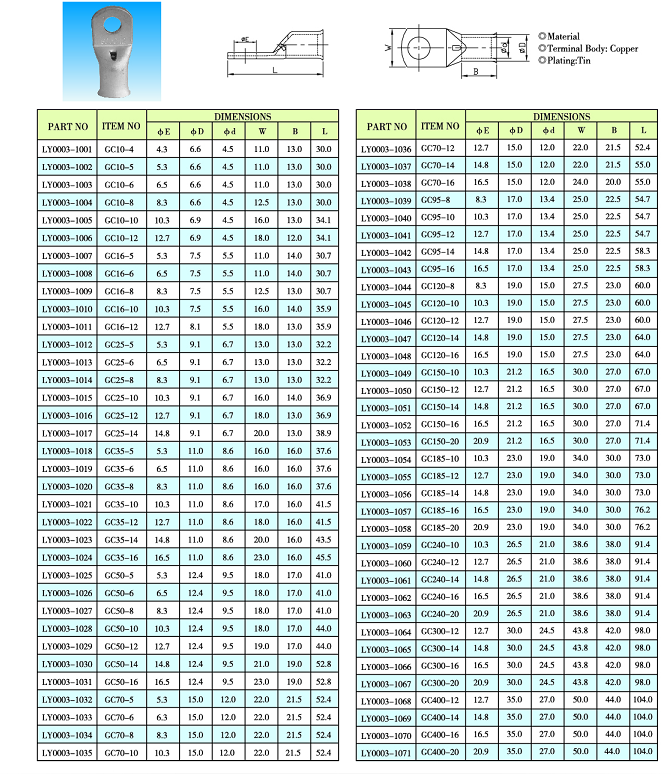 Line nose is one of the most widely use electronic components, wire nose factory production of products are widely used in computers, telecommunications, network communications, industrial electronics, transportation, aerospace, medical equipment and the auto industry and other fields. Our company is specialized in the research and development, production and sales all kinds of terminal, now dominated by the brass terminals development direction, has formed more than eight hundred kinds of rules.Terminal surface treatment to dumb tin, tin, acid as the main technology method, uniform coating, has good weldability, pressure welding, high corrosion resistance and durable discoloration resistance, the products comply with ROSH environmental protection standards. 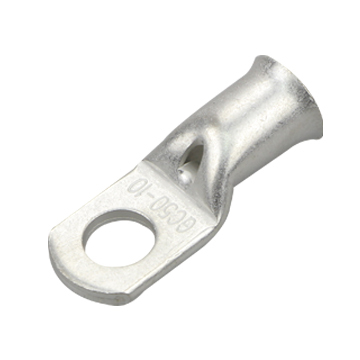 Widely used in railway, shipbuilding, electric power, electrical appliances, electronics and other industries. Looking for ideal GC Copper Terminals for Transformer Manufacturer & supplier ? We have a wide selection at great prices to help you get creative. All the Insulated GC Terminal Production are quality guaranteed. 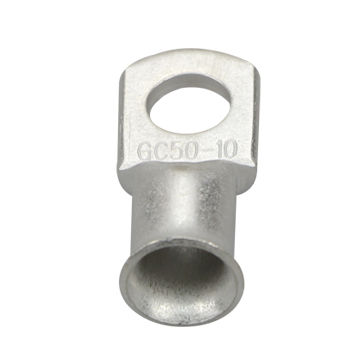 We are China Origin Factory of GC Copper Lugs Specifications. If you have any question, please feel free to contact us.